From the director who bought us Billy Elliot (2000) and The Reader (2008) comes one of the most underrated films of the year. Steven Daldry, a director who has worked predominantly in the theatre proves a transition from stage to screen to be effortless and engaging. Daldry’s interpretation of Jonathan Safran Foer’s 2005 novel of the same name has, however, obtained a collection of rather mixed reviews. There are many different opinions as to what makes a film ‘excellent’ or ‘brilliant’. Arguably, one of the quintessential factors (although there are many) is a well-crafted script. 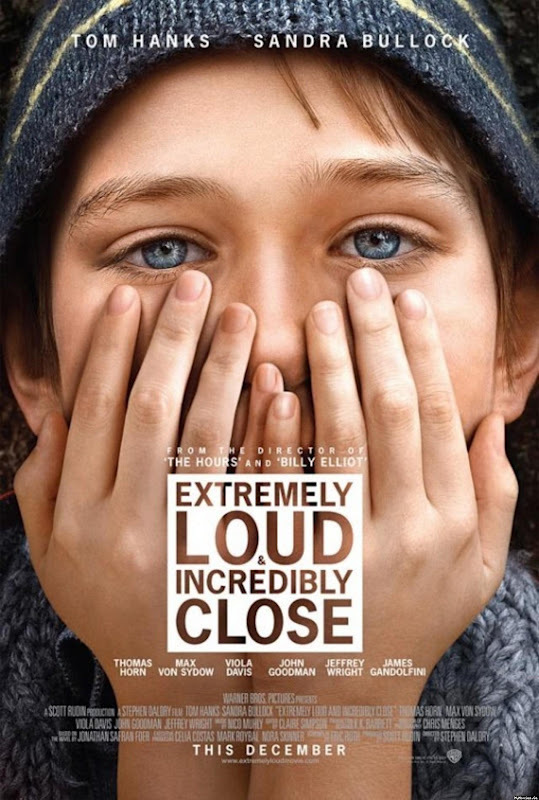 Luckily, in director Daldry’s case Extremely Loud and Incredibly Close was in the trustworthy hands of Oscar-winning screenwriter Eric Roth. Roth’s difficult task involved adapting the novel into cinematic material that could be both visually and aurally stimulating- no mean feat for any scriptwriter who has to adapt a well-loved literary piece. Roth appears to be in his element as he brings to life a character that feel out of place in a seemingly ‘normal’ world and who has to navigate himself in his own way, shape and form to make sense of it all. Oskar Schell could be considered a third member of the trilogy of supposed ‘outcasts’ that Roth has helped bring to life on screen. The first of these two being Forrest Gump in Robert Zemeckis’ Forrest Gump (1994) and Benjamin Button in David Fincher’s The Curious Case of Benjamin Button (2008). All three are unconventional and nontraditional, but somehow likeable as each of their journeys leave an indelible imprint on our minds. Oskar Schell (Horn) is an inquisitive and intelligent boy. His borderline Aspergers means he sees the world in a different way to those around him. The film tells of his journey as he grapples with the death of his father who lost his life in the 9/11 terrorist attacks on the World Trade Centre. A year after the event, upon the discovery of a mysterious key held in a small envelope in a blue vase he finds in his father’s closet, he goes on a mission to search for a lock for the key. He hopes to find a final message from his father, or at least something to keep their connection alive. With his only clue being the word ‘Black’ written on the small paper envelope he visits all the residents with the surname ‘Black’ in the five boroughs of New York. Still distraught over the loss of her husband, Oskars’ mother, Linda (Bullock) is no help and Oskar thinks it best to hide his mission from her. He meets many people on his adventure, none of which can give him the answers he is looking for, yet this only increases his desire to keep looking. Along the way he encounters Abby Black (Davis) who has problems of her own but feels it necessary to help Oskar on his journey. He also comes across a man (known only as The Renter) who rents a room in Oskar’s grandmother’s (Caldwell) apartment. The Renter does not speak and only communicates with a note pad and tattooed ‘YES’ and ‘NO’ on each of his palms. Oskar feels a strange connection to the mysterious man, who after hearing his story wants to accompany him on his adventure. The two form an unlikely, kindred bond but a secret drives the two apart and eventually the Renter decides to leave town as his presence in Oskar’s life is hindering rather than helping him. What follows is an exciting yet unexpected resolution to Oskar’s passionate adventure. It is difficult to believe this is Horn’s first film. His nuanced and emotionally engaging performance is remarkable. This is sure to be the start of a promising career, one that someone like Haley Joel Osment could have had, but fell short of. Sandra Bullock is at her best since Crash (2004). She brings a beautiful sensitivity to her role and her scenes with Horn are a definite highlight of the film. Max Von Sydow justifies his Oscar Nomination has great merit and Viola Davis once again proves why she is fast becoming one of the most respected actresses in the industry. The use of sound and music in the film enhances our experience of the story and helps us understand a little better what Oskar is going though, especially with his tambourine, which is always close by to calm him in any tense situation. As mentioned, the film garnered largely mixed reviews, which mainly leaned towards negative responses. While some claim the plot and ‘9/11’ factor was contrived and manipulative, perhaps the act of taking a relevant event, like 9/11 and finding a personal story in a public tragedy is how the film intended to be most effective. 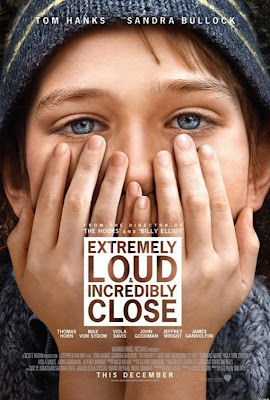 Highly acclaimed American film critic Roger Ebert said that, “No movie has ever been able to provide a catharsis for the Holocaust, and I suspect none will ever be able to provide one for 9/11. Such subjects overwhelm art. The artist's usual tactic is to centre on individuals whose lives are a rebuke to the tragedy. They sidestep the actual event and focus on a parallel event that ends happily, giving us a sentimental reason to find consolation. That is small comfort to the dead.” With respect to Ebert’s argument, perhaps a catharsis from the national tragedy was not what Daldry or in fact even Foer intended. One would like to think that the British director is not that arrogant or ambitious. Understandably, the story plays a litter closer to home for Americans and more specifically, New Yorkers. The 9/11 theme was part of the story but certainly not the story as it was in, for example, Oliver Stone’s World Trade Center (2006) or Paul Greengrass’ United 93 (2006). After all, at the core of the story is the relationship between father and son and the hope to maintain that bond in both life and death.